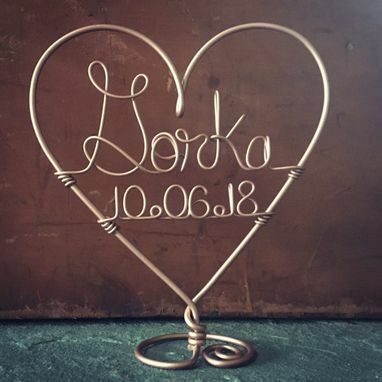 This unique wire cake topper will be delicately customized just for the bride and groom! 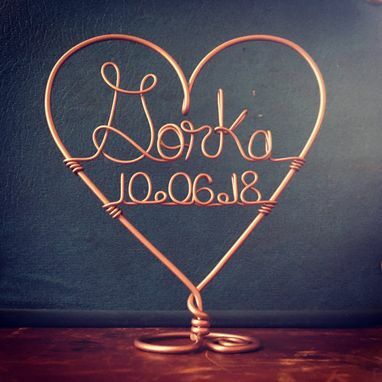 Featuring the couple's married name and date, it is handcrafted with a free-standing base, which gives you the opportunity to use it as decor in your home long after the Big Day! This design is created with a silver toned aluminum wire in 10 and 14 gauges. 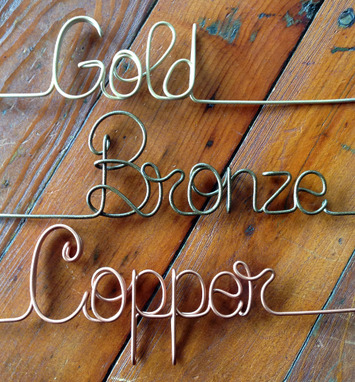 I am able to offer alternate colors (gold, copper, bronze) by using a technique where the finished piece is coated with a metallic spray. 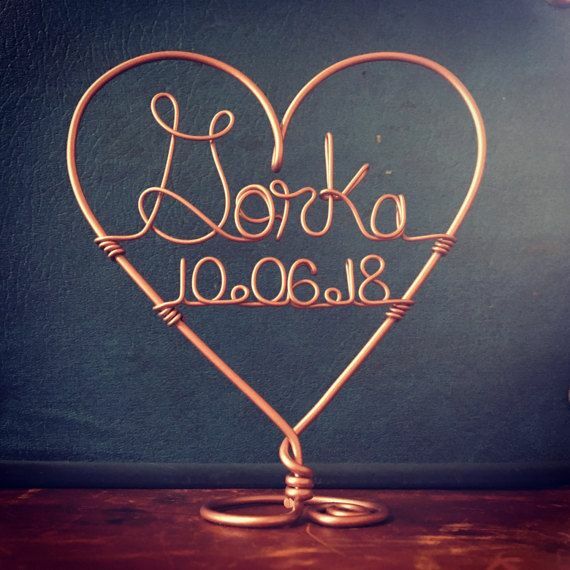 **The item shown in the listing is featured in the copper color. ** Please refer to the last photo for examples. Colored options are an additional $2. All toppers are made to accommodate a 6 inch cake tier. I will happily alter the size according to your needs, please just inform me of to requested size. Please don't hesitate to contact me if you have any questions! Thank you for your interest in my work!